Today on 21st October at 11:27 local time I saw this elliptical halo above Vecsés, Hungary. 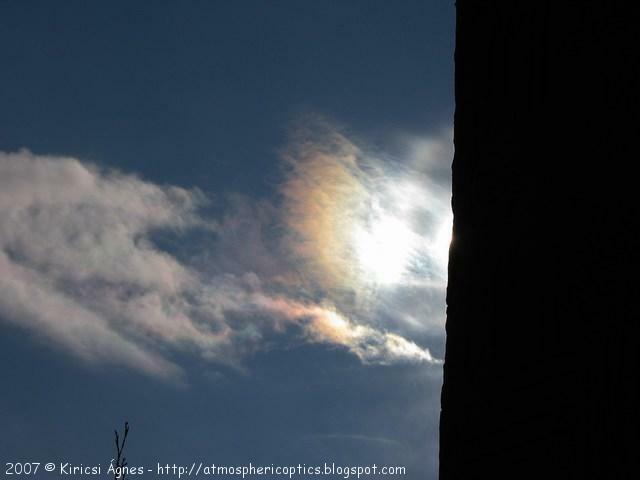 I was photographing Ac len and iridescent Ac clouds, when I caught sight of the display. The elliptical halo formed on the ice crystal precipitation of one of the Ac. The display lasted less than two minutes, so I really had to hurry to find a good object to shield the Sun with, and not to miss the sight meanwhile. In the first photo - I was still using the neighbouring house's wall, - even the reddish inner side of the halo can be seen. More photos. Beautiful display. 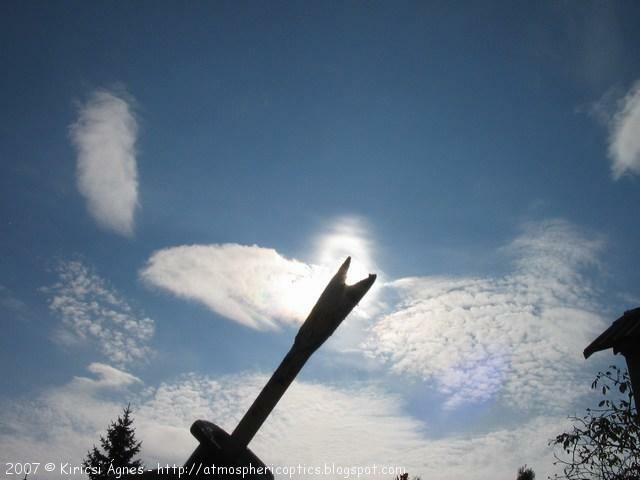 As so frequently associated with Altocumulus cloud with fine diffraction phenomena. Compliments for the images! Thanks a lot. I was lucky.